Cacela Velha is a seaside village located between Tavira and Vila Real de Santo António. The area was occupied by numerous civilizations throughout the centuries including the Phoenicians, the Romans and the Arabs. 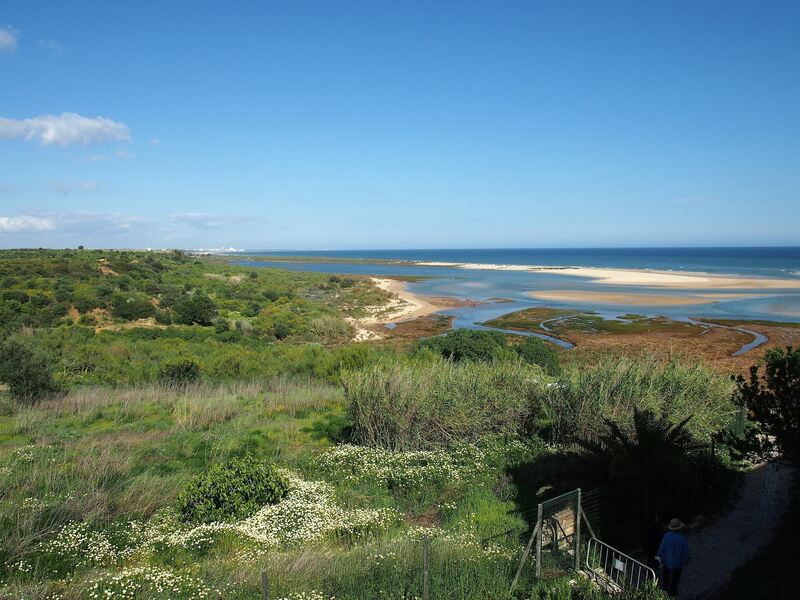 Perched on a hill, overlooking the sea and the Ria Formosa Natural Park, Cacela Velha is one of Algarve’s hidden gems and it’s rarely overrun by tourists. 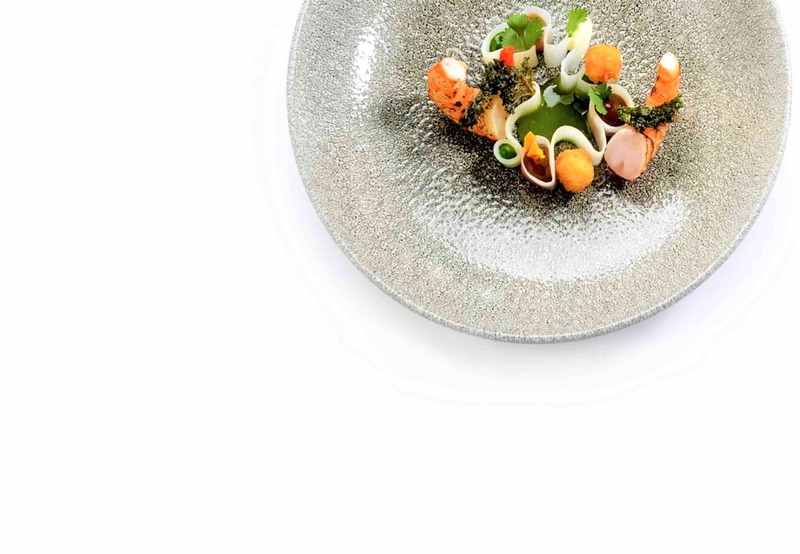 The local economy is still based on commercial fishing, which supplies restaurants with a variety of fresh seafood such as clams, prawns, squid and oysters. 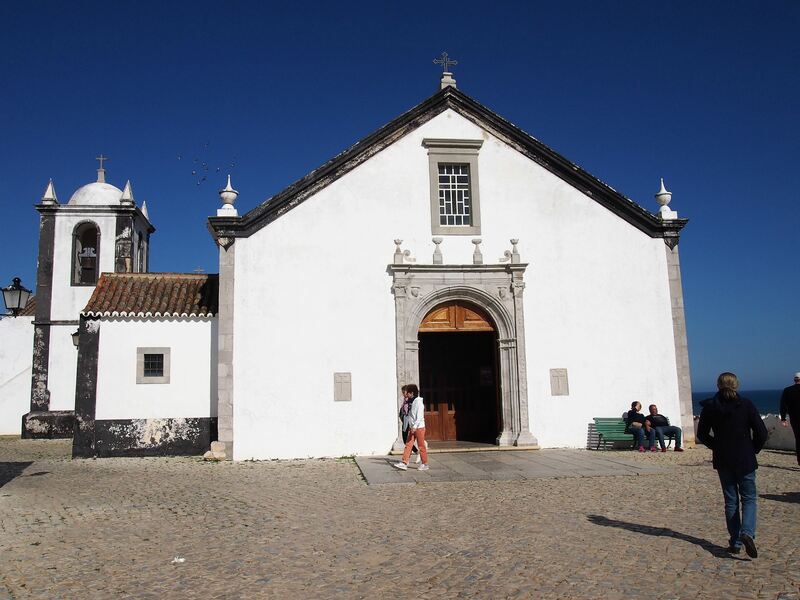 There are three main attractions in Cacela Velha: Igreja de Nossa Senhora da Assunção, Fortaleza de Cacela and Praia de Cacela Velha. Igreja de Nossa Senhora da Assunção is the only church in Cacela Velha and was established during the 16th century. The church has a beautiful Renaissance arcade which features the busts of Saint Peter and Saint Paul. 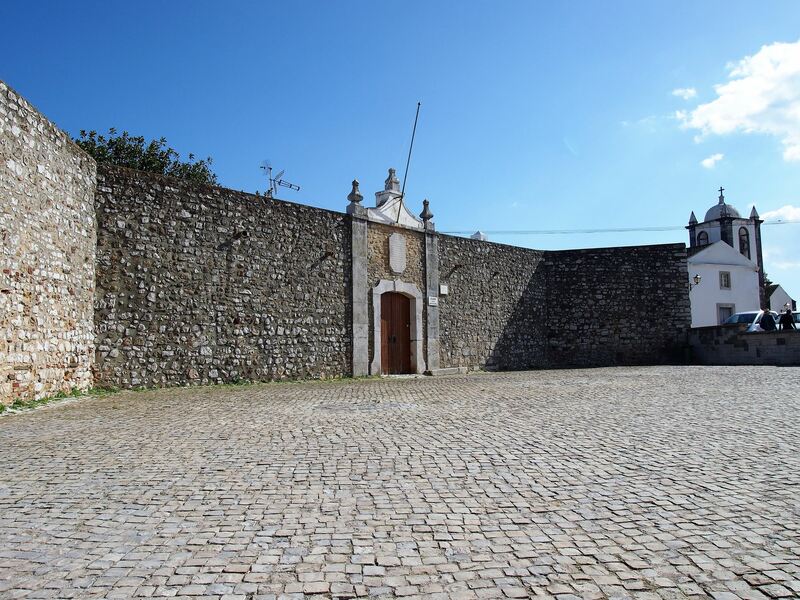 Right next to the church is the Fortaleza de Cacela, an eighteenth-century fort built to protect the Algarve coast against pirate attacks. The interior of the fort isn’t open to the public since it’s being used as an office for the National Republican Guard, but you can still enjoy great panoramic views from its walls, especially during the sunset. 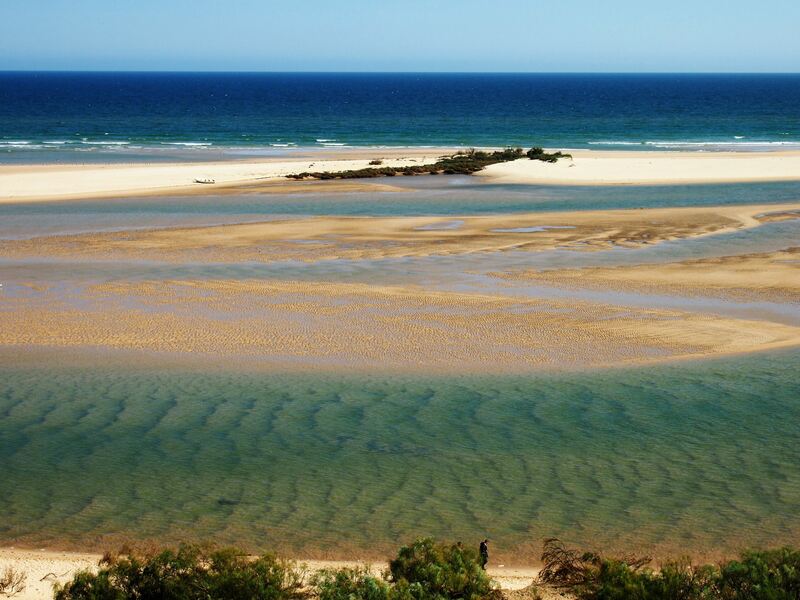 Just below the village sits Praia de Cacela Velha, which is also known as Praia da Fábrica. 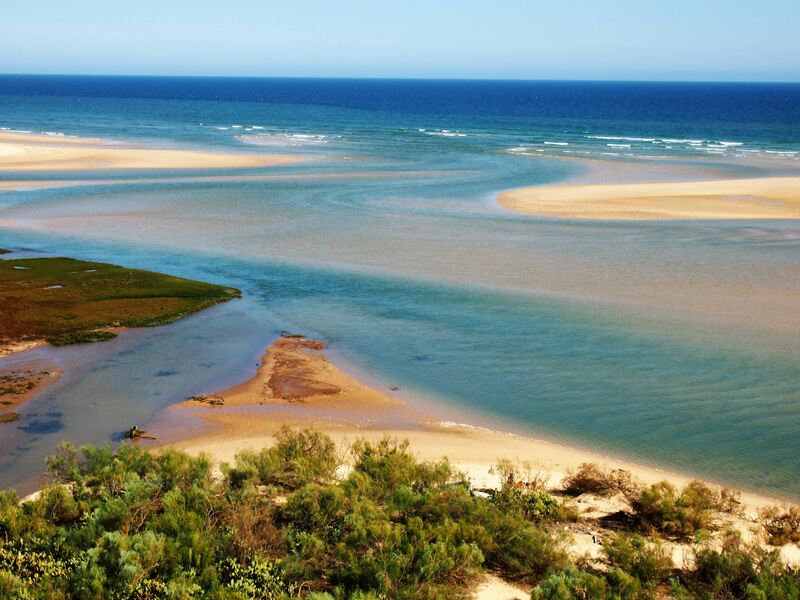 Bordered by the Ria Formosa Natural Park, this paradisiacal retreat stretches for nearly 2 km and has been considered one of the best beaches in the world. 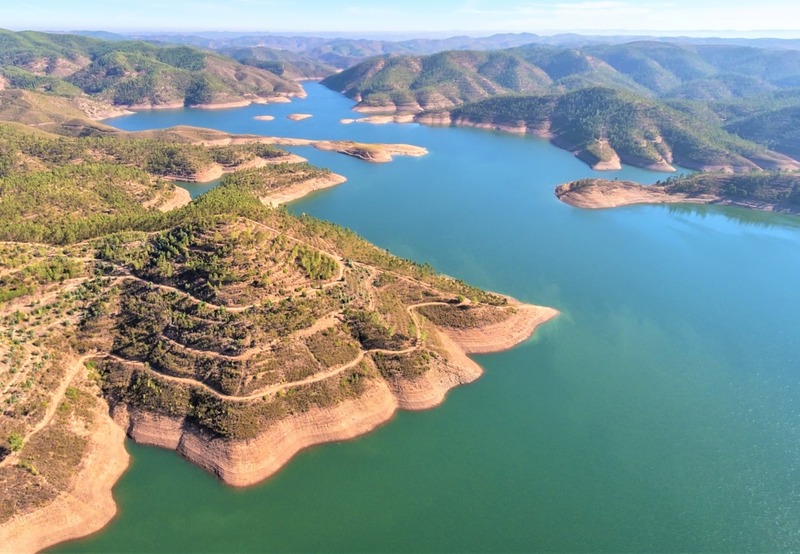 To reach the beach, simply follow the signs to “Sítio da Fábrica” on the west side of the village and then take the boat across the lagoon. 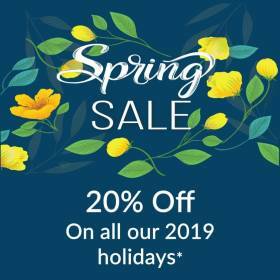 This service is available every day in the summer and when the weather is good during the rest of the year. 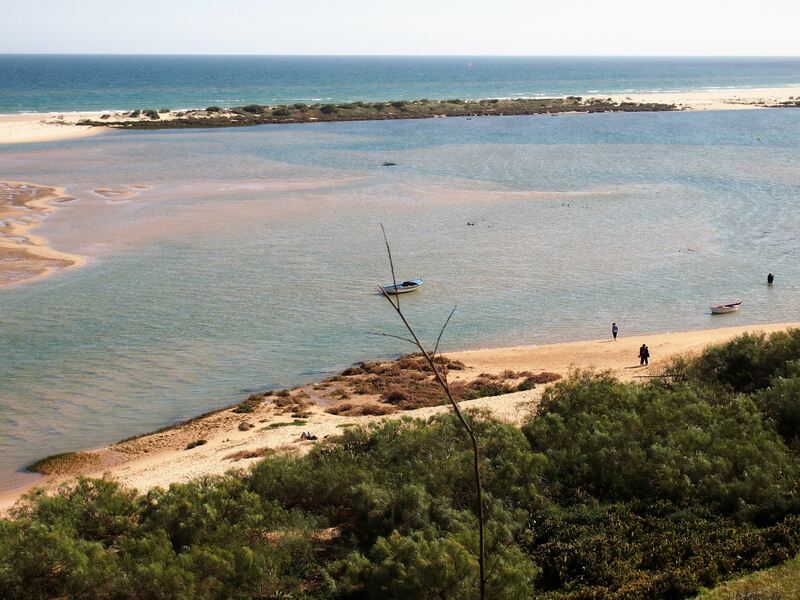 It’s also possible to walk to Praia de Cacela Velha from Manta Rota but it’s quite a long hike. The beach has no facilities, only a wild stretch of sand and clear blue waters, that invite for a swim. 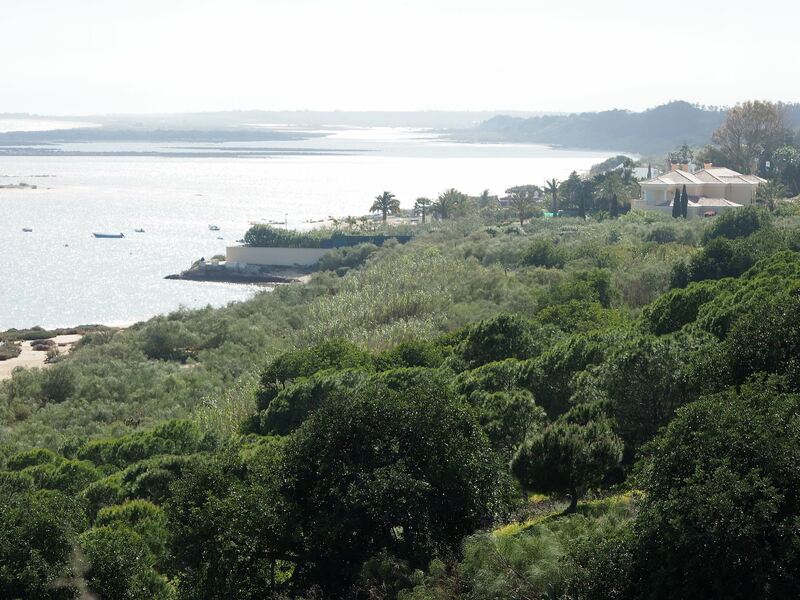 From here you can spot the islands of Tavira to the west and the bay of Monte Gordo to the east. The most important events in Cacela Velha are the Noites da Moura Encantada in July and the Festival in honour of Nossa Senhora da Assunção on the 3rd weekend of August. Cacela Velha is quiet for most of the year but it comes alive with the Noites da Moura Encantada, a four-day event that recreates the period of the Arab occupation. During the event, there is music, Arabic food and a traditional souk market. Other events in the area include the Clássica em Cacela, a concert series held every summer at the church of Cacela Velha.